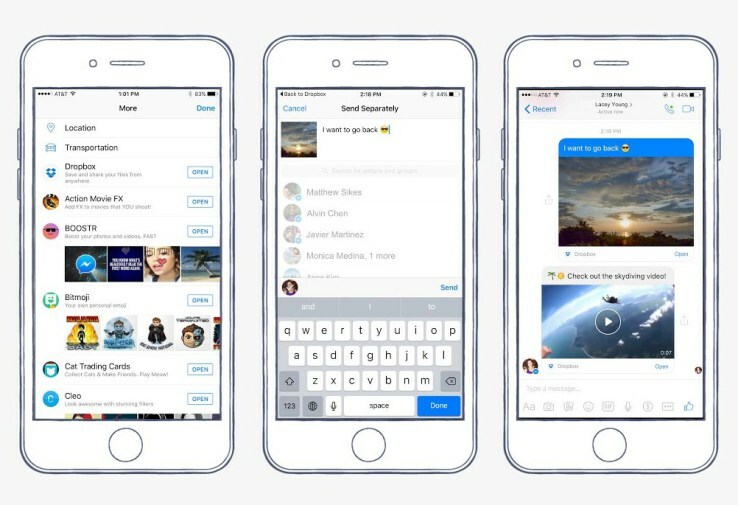 Another Facebook Messenger update has come our way and this time it makes sending files easier as well as making it possible to multi-task whilst video chatting. 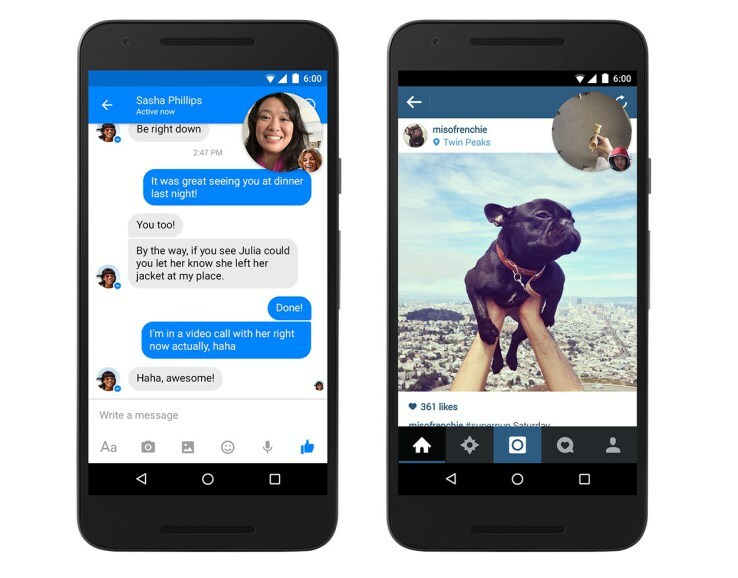 This might not seem like a big thing but how these updates could improve messaging could definitely be important. The Dropbox integration brings Facebook Messenger even closer to working like an email program. If you click the more button you'll see the Dropbox option alongside existing options such as Soundcloud. As well as using this for the usual sending of files, you can use it to easily share pictures and videos without having to upload them. The pictures and videos would appear instantly in chat and you can use it to share sensitive files without having to worry about them staying on Facebook's servers. This is pretty useful tool for people who do use Facebook for work or if you're planning something important. Either way it's an improvement over the ability to send files within groups on Facebook. Of course this does still require you to be sharing your files on Dropbox's cloud software. So you will still be hosting your files online but they should be safer than they would have been if you purely shared them on Facebook. If you send a file that isn't an image or a video then you'll still be sent a download link as you would if you were sending your file over the desktop. 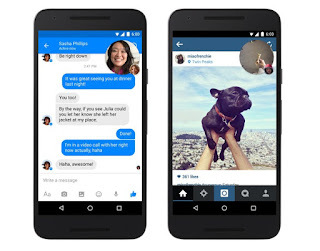 The other update Facebook had added is moving Chat Heads for video. What this means is that you don't have to leave a video call to perform other tasks simultaneously. The chat heads allow you to switch between different conversations without interrupting your video chat, and Android users can switch between different apps all whilst carrying on the conversation. This is pretty useful if you need to check something or you're talking whilst you're planning something. Of course this is a lot more practical for Android users then it is iOS who have the bigger advantage, but it's always a pleasant surprise to see Android users get more of an option for once. These two updates haven't rolled out for everyone yet but they expect to within the next few days.